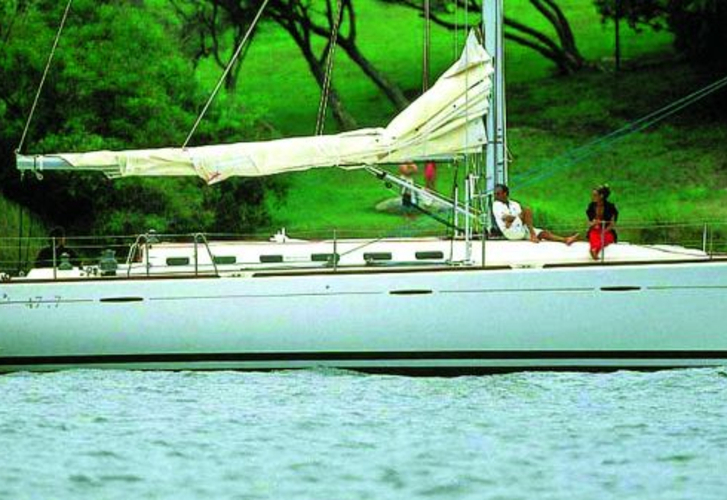 In 2005 was produced sailboat First 47.7 called Kali. This boat is placed in port Kastela in area of Split in Croatia. You can board up to 10 passengers on the yacht Kali. Configuration of berths is 10 (8+2). There are 4 bedrooms placed below yacht's deck. Kali has 2 toilettes. You can get more yachts in this site: Yacht charter Split. In this sailboat is applied engine 55. With 14.50 meters of LOA and 4.50 meters of width Kali offers enough space for comfortable sailing. First 47.7 Kali is equipped with: Bed linen, Radio / cd player, Heating, Electric winches, Anchor electric windlass, Bimini top, Dinghy, Teak cockpit, Gps plotter, Autopilot, Bow thruster, Mainsail with lazy jack, Outboard engine, Freezer. . Deposit is at the level of 2500.00 EUR. Look for other boats under the link: Yacht charter Kastela.